DUBAI, April 9 (Reuters) - A powerful earthquake struck close to Iran's only nuclear power station on Tuesday, killing 30 people and injuring 800 as it devastated small villages, state media reported. The 6.3 magnitude quake totally destroyed one village, a Red Crescent official told the Iranian Students' News Agency (ISNA), but the nearby Bushehr nuclear plant was undamaged, according to a local politician and the Russian company that built it. "Up until now the earthquake has left behind 30 dead and 800 injured," said Fereydoun Hassanvand, the governor of Bushehr province, according to ISNA. Abdulkarim Jomeiri, a member of parliament for Bushehr, told IRNA that "the distance between the earthquake focal point and the Bushehr nuclear power plant was about 80 km and, on the basis of the latest information, there has been no damage to the power plant." One Bushehr resident said her home and the homes of her neighbours were shaken by the quake but not damaged. "We could clearly feel the earthquake," said Nikoo, who asked to be identified only by her first name. "The windows and chandeliers all shook." Iran sits on major fault lines and has suffered several devastating earthquakes in recent years, including a 6.6 magnitude quake in 2003 which flattened the southeastern city of Bam and killed more than 25,000 people. 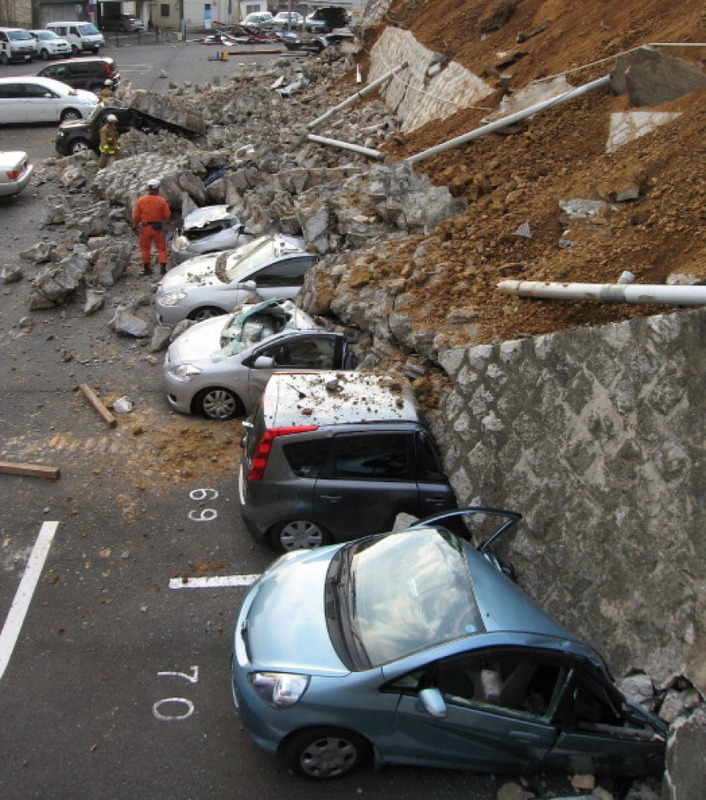 In August more than 300 people were killed when two quakes struck the north west.